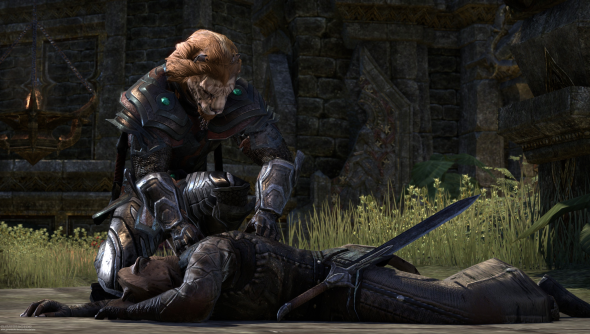 Zenimax have deployed their sixth patch in their effort to step up the fight against an endless torrent of bots and gold spammers, while also squashing some bugs in the process; which are a huge problem in my Elder Scrolls review. Highlights of Patch 1.0.6 include a fix for Nightblades becoming stuck, the implementation of timers on loot acquisition from delve bosses and cash on delivery parcels actually requiring cash to accept (instead of netting the item for free). The patch notes are introduced with a message from Zenimax reassuring their players of their dedication. Good news: Zenimax are on the winning side of the fight against the bots. Now that delve and open world bosses have a cooldown period before they can be looted, it should deter the bots that set up camp at their spawns. For the cases that need a personal touch, GM’s have been reportedly seen in-game hunting bots down and throwing them into the fires of Oblivion. No, seriously. A lot of the bug fixes are for problems I experienced myself when writing my Elder Scrolls Online review. Often when surrounded by enemies my skills and abilities as a Nightblade would refuse to activate, leaving me defenseless, requiring a relog to fix. And I can recognise every quest bug which has been fixed in the zones of Khenarthai’s Roost, Auridon and Grahtwood, which were frustrating to say the least. Hopefully now they’re a thing of the past. The first content update, the end-game zone of Craglorn, was due at the end of this month, but has failed to materialise. It appears Zenimax have prioritised bug fixes, bot deterrents and performance patches, which in my opinion is the correct move. However It’s going to take a good few more patches like this to get TESO in shape, and the players at max level are sure to be growing hungry by the day.